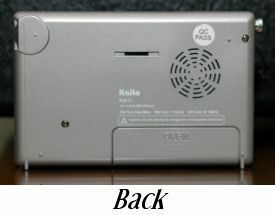 Kaito has introduced a new pocket-sized world band portable radio, the KA11. This is also available as the Degen DE11. In this case the Kaito is actually a better deal than buying the OEM Degen version online because the DE11 costs $56 delivered from China while the Kaito is $59.99 with a US Warranty. The Kaito version also covers the AM expanded band between 1610 – 1710 KHz not covered by the Degen. Measuring 4 ¼” x 2 ¾” x 1″ (110 x 71 x 23 mm) the KA11 is one of the smallest PLL Digital World Band radios I have seen. It is a convenient carry-along size small enough to slip into a jacket or coat pocket. The basic features are all there; direct entry via the keypad, external earphone and antenna jacks, DC input jack and a Local/DX switch. 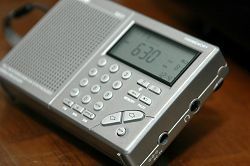 The KA11 has an unusually long list of additional features for a radio of this size and price, including 1000 non-volatile memory presets (which means you don’t lose them even when batteries are removed), 10 level signal strength meter (which is highly unusual in this class of radio), alarm clock and temperature display (! ), direct frequency entry, manual, auto scan and auto-preset tuning (ATS), back-lit LCD screen, FM stereo at the headphone jack and built-in battery charging. 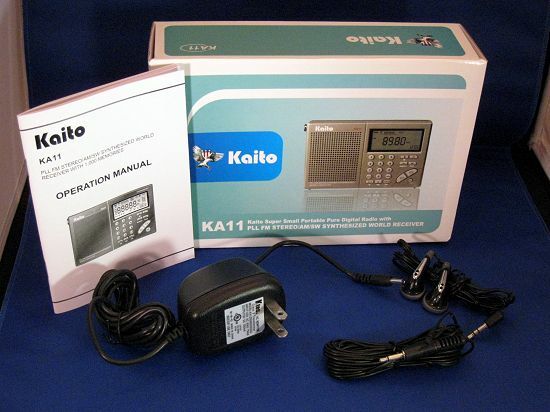 The KA11 runs on two AA batteries or the included AC adapter/charger; also in the package are a user manual, a wire antenna, earbuds and a warranty registration card. The KA11 sells for $59.99 which is a competitive price-point, remembering that the KA105 sells for $54.95 and the much larger KA1107 goes for $59.99. So the question is, what kind of performance do you get from a radio this small and costing $59.99? In a word, as good as it gets at this size and price. I compared it with several small radios I had on hand and found that for the size and price the KA11 held its own in terms of basic AM/FM/SW reception. To put this in perspective, the KA11 is no DX machine…you wouldn’t expect it to be. It is designed to let you hear your local AM/FM stations and the major SW broadcasts conveniently no matter where you go. In fact I noted a bit of synthesizer or display-generated noise on parts of the AM broadcast band which might interfere with weaker signals, but stronger signals overcame this background noise with no problem. 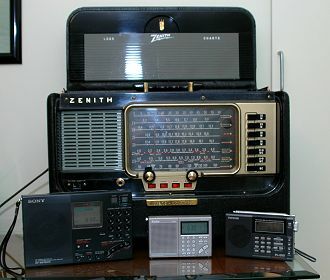 Again, this is typical of small, inexpensive radios. As expected sound quality is strictly utilitarian through the tiny speaker, but FM stereo in the included earbuds was satisfying and full sounding. I tucked the tiny KA11 into my briefcase one day and brought it to work with me where I was able to hear many stations on all bands. To be sure, for weak signal listening I will pull out a more ambitious radio, but the KA11 will go places those radios won’t and for that intended purpose it fills the bill nicely. 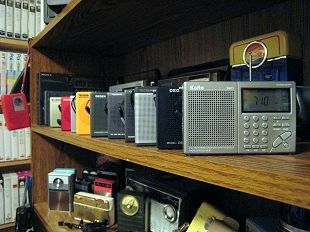 Indeed, a few of the small, inexpensive radios I compared against the KA11 came up short. Even the Tecsun PL-200 (which costs $62 delivered from China) and is a tad larger, only marginally better in terms of sensitivity, selectivity and sound quality, and it lacks many of the KA11′s features. 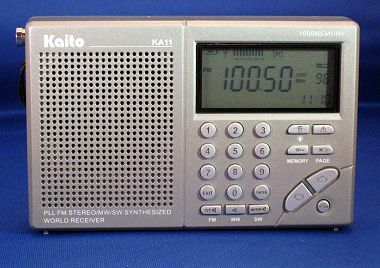 To be clear, there are radios which offer better performance for about the same price as the KA11 but they tend to be twice the size, usually analog, and without all the digital features crammed into the tiny KA11. What you get is a sleek PLL digital radio chock full of features which you can put in any but the smallest of pockets to have with you virtually anywhere. For that intended purpose the KA11 succeeds nicely.